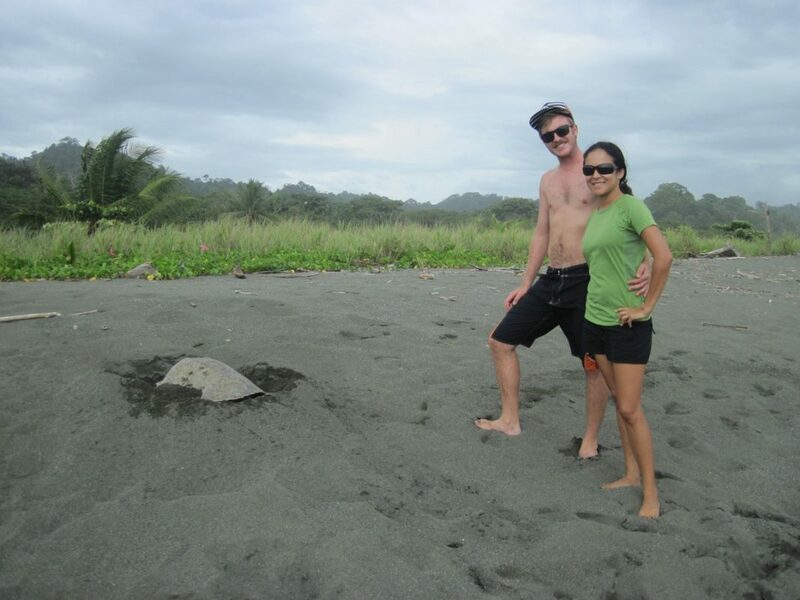 Osa Conservation Supports Research in Golfo Dulce: So Many Sea Turtles! 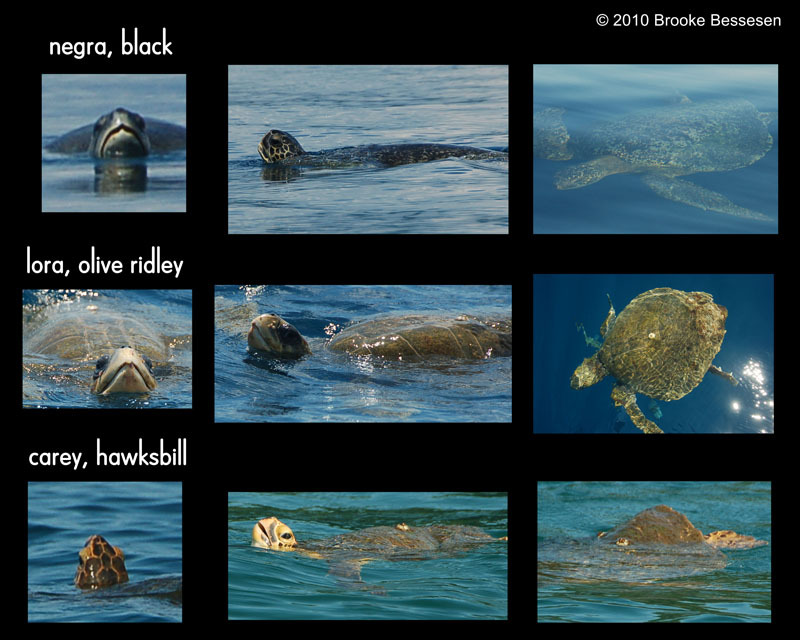 Side by side, you can begin to see the characteristics that visibly differentiate the three sea turtle species we documented inside Golfo Dulce. When we began our research, nobody expected us to find very many sea turtles inside Golfo Dulce — most sea turtle activity was thought to occur on the Pacific side of the Osa Peninsula. It turned out that chelonids were the most frequently seen family of animals, accounting for 38 percent of our total sightings. Discovering such significant numbers of sea turtles was one of our most important findings. Sadly, fishermen with many years of experience in Golfo Dulce say the sea turtles there have declined at least 30 percent in recent years. 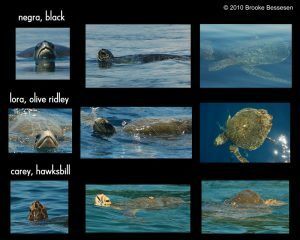 Jorge and I documented three species: Pacific Black sea turtles, still commonly referred to as “Greens” (Chelonia mydas agassizii), Olive Ridley sea turtles (Lepidochelys olivacea) and Hawksbill sea turtles (Eretmochelys imbricata). Locals also reported seeing near-extinct Pacific Leatherback sea turtles (Dermochelys coriacea) inside Golfo Dulce. That’s four endangered species of sea turtles utilizing the embayment. Amazing! Our biseasonal data show Golfo Dulce to be a year-round feeding and breeding area for endangered Green sea turtles. We logged over a hundred sightings of them between both surveys. 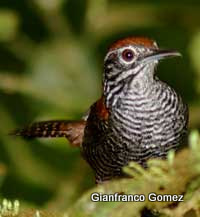 This species, by far the most common, was usually observed in the upper regions of the gulf resting at the sea surface. But we also documented Green sea turtles mating in all four quadrants of the inlet, so their use of the fiord waters appears widespread. 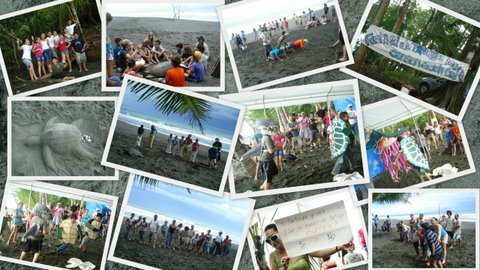 We're Excited to Announce Registration for Our 2011 Sea Turtle Conservation Program! Sea Turtles have been around for over 100 million years, but all over the world their survival is being threatened. Volunteers are crucial to protect the sea turtles during their nesting season. Let´s have a bad joke! By Phoebe Edge, Research Field Assistant (RFA) , Sea Turtle Conservation Program. What turtle has the best eye sight? And that´s why it´s so important that we make sure on night patrols that we spot the ladies before they spot us…the last thing we want to do is scare them back to the sea. A good turtle detective just doesn´t do that. An Olive Ridley could have swum thousands of miles to get to this specific beach which is why here at Friends of the Osa we do what we can to ensure we have minimal impact on beach patrols- especially at night. Females can be deterred from nesting and the hatchlings’ important journey to the sea can be disrupted just by the presence of white lights. For this reason, we only use red light on the beach. Sea turtles, like many other reptiles, don´t actually have the color red within their visual spectrum so it means we can work safe in the knowledge that they don´t feel like a criminal fleeing from the scene of a crime! We´ve just said goodbye to the lovely Brandy and Nick who were volunteering with us for 2 weeks, staying at Finca Exotica in Carate. 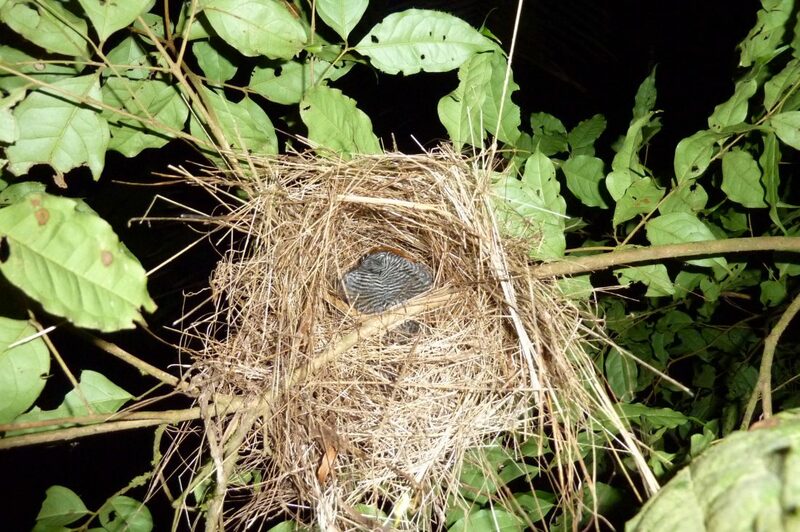 Their second day it was unnecessary to use ANY artificial light to spot a turtle as on an afternoon stroll to the lagoon at around 3:30pm, we discovered a solitary uptrack and on the top…an Olive Ridley covering a nest! It was a beautiful day anyway so this just completely topped it off. Most sea turtles come up during the night to lay their eggs as they feel it´s safer but this individual obviously had other ideas! It was a real treat to see her in natural light. Of course, night patrols aren´t always a walk in the park. We are in the peak of the rainy season, and it’s not uncommon for there to be times when the rain has penetrated every ounce of clothing, sand has made its way into every crevice you never thought possible and throughout the patrol, one can´t help but feel like you’re on the losing side in World War III against the elusive sand flea. But the second you catch a glimpse of a turtle, watching each egg drop into the nest she created ever so carefully, we are reminded of how much energy has been invested in this process and just how vital our efforts are to protect nesting sea turtles. Our efforts here on the Osa seem so small- but nest by nest, day by day, the data we gather can be interpreted and contributed to the global effort for sea turtle conservation, and together we can make a difference. Besides, who wouldn´t care to swap the office for this?